Shocking Things You Never Knew About The Arrow Star "Stephen Amell"
Oliver Queen may have given up his hard partying ways, but that doesn’t mean he still can’t enjoy a nice glass of wine from time to time. 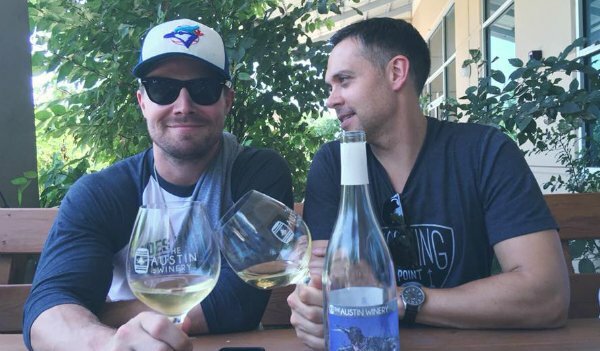 Just last year, Stephen Amell started his own wine brand called Nocking Point Wines. The name seems fitting, as the term “nocking point” refers to the point of a bowstring upon which an arrow is placed. Interesting side note: the label designs for Nocking Point Wines were masterfully illustrated by legendary comic book artist Jim Lee – known for his work on X-Men, Justice League, and Batman titles (to name but a few). He made sure to document the entire adventure as well. Along with co-founder Andrew Harding, the Arrow star also recently produced a show called Dudes Being Dudes in Wine Country, which chronicles their journey through the winemaking process – as well as the fun they have along the way.